It is in this idyllic setting that was born the story of a passion passed down from generations and extended by our family since 1997. They are growing 7 different types of grapes which is quite impressive for the appelation, and even an old variety that makes a quater of the white wine Blending, the Bourboulenc! The Vineyard philosophy is to respect nature as much as possible, they use of natural fertilizers, tailored treatments and manual harvesting, with the greatest respect for tradition. 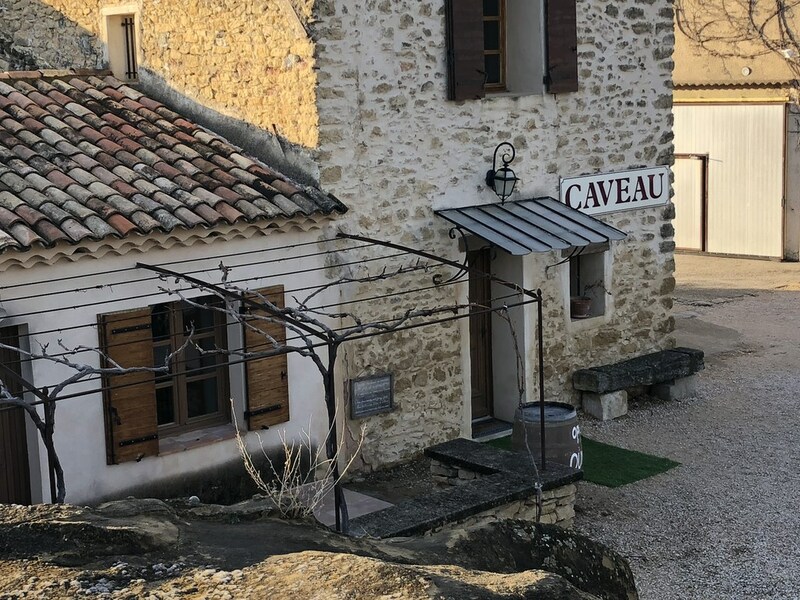 The ageing cellar is an ancient cave with a natural spring which allows ideal conditions for both winemaking and ageing. Vacqueyras is a French AOC, in the southern Rhône wine region created in 1990 . 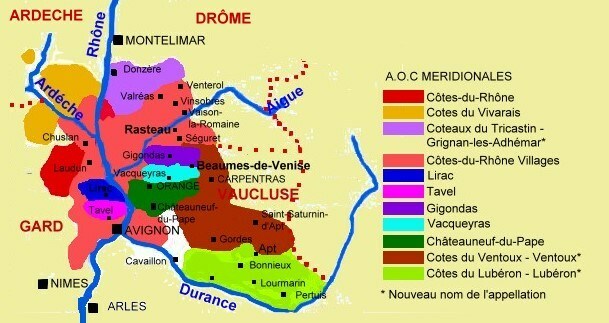 It is primarily red wine region (97%) but they produce some white wine and rosé as well. Vacqueyras is, like Gigondas, known for its power, the backbone of the wine is Grenache, however producers of Vacqueyras usually use blendings to lighten the wine strengh. The density of plantation is quite low, only 4000 vine pro hectares and the Yield is 36 to 40 Hl/Hectares. Why Working with chateau des Roques? I used to import and distribute Chateau Des Roques Vacqueyras while working in Texas from 2003 to 2006. This wine had a great success and i always enjoyed it. Corine Seroul came to me late 2017 and asked me to be in charge of their Wines for the US and it is with a great pleasure that we are now working together. We hope you will enjoy as much as we do and that you will have an interest to distribute it in your states.